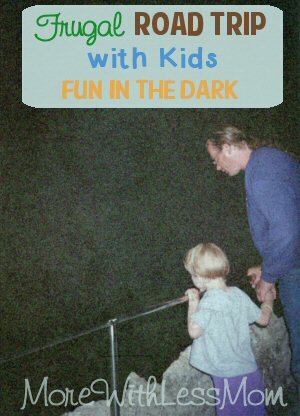 You could make a crate or box just for after-dark activities, especially if it is winter and you will be driving a lot in the dark. Be careful of lights and things with laser lights, you don’t want to distract the driver or other cars. 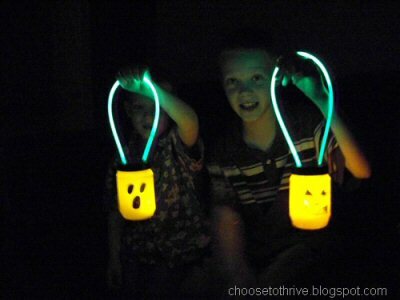 Glowing Sensory Bags You use UV reactive highlighters to make glow water. You need a little black light for this to glow well, but if you buy one then there are a ton of new fun things you can do. 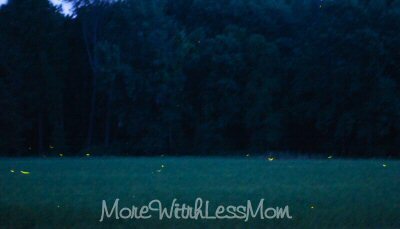 You can create a peanut butter Jar Lantern and use a sharpie to decorate it with bugs or stars. Glow sticks are available from the dollar store. You can stick these in an Easter egg or balloon to make it glow. You can get glow in the dark stars and stick them around the car on hard surfaces, just remember to pull these out early to “charge” them with sunlight. Sometimes they have these at the dollar store but I haven’t seen them lately. You should make tape loops if you are worried about using the putty or stickers they come with. For the one year old we have a Crayola Beginnings Washable TaDoodles TaDoodler that she will like when it gets dark. We also have a Baby Einstein Music Mirror that she can kick and it lights up and plays music. If you have a travel DVD player or tablet you should bring it. You can get them off of eBay as well, but the small ones are down to about $50 new. Or you can check Craigslist and pawn shops. You can buy a case/holder that will strap to the back of the front seat so nobody has to hold it. If you have two kids you should get an audio Y splitter cable so they can both listen on earbuds/headphones. If they don’t have it at WalMart they will have it at an electronics store like RadioShack. We put DVDs in a wallet to save space, and keep this with the Binder of Fun or in a Fun Bag. You can get a DVD wallet from the dollar store but it won’t last long. Everyone should have a pillow. Travel pillows are about the easiest thing you can sew, but you can just bring you regular pillow. My three year old will be bringing her Pillow Pet. You can also make a neck pillow or a seatbelt pillow for little ones who flop around. Bring anything you think your child will need to go to sleep. Some kids just won’t sleep in the car, or in a new place like a hotel room or tent. But if your kidlet has the same blankie, lovey, and music every night at bedtime, and you read the same Sandra Boynton book every night, bring that stuff. You want to recreate their home environment as much as possible. 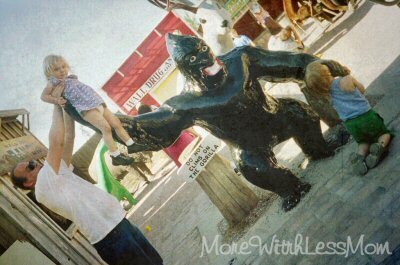 How do you find fun in those offbeat times?